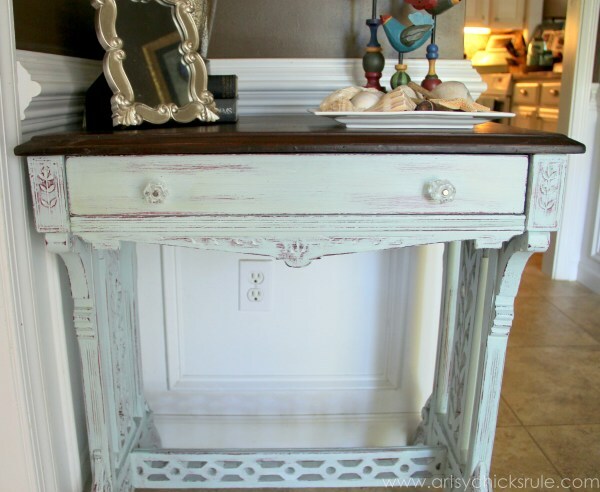 Giving this old carved desk new life with a little paint…and love! It’s Themed Furniture Makeover day! This month’s theme is RED. I love red…in small doses. So when I saw the theme for this month I wondered how in the world I would incorporate an entire piece of furniture with red. That’s when I got to thinking about how much I love the colors teal and red together. I love how they off set each other. Just like my Family room during the Christmas holidays last year. 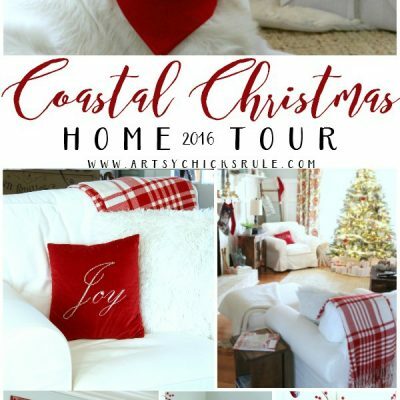 You can see what I mean in my Holiday Home Tour here. 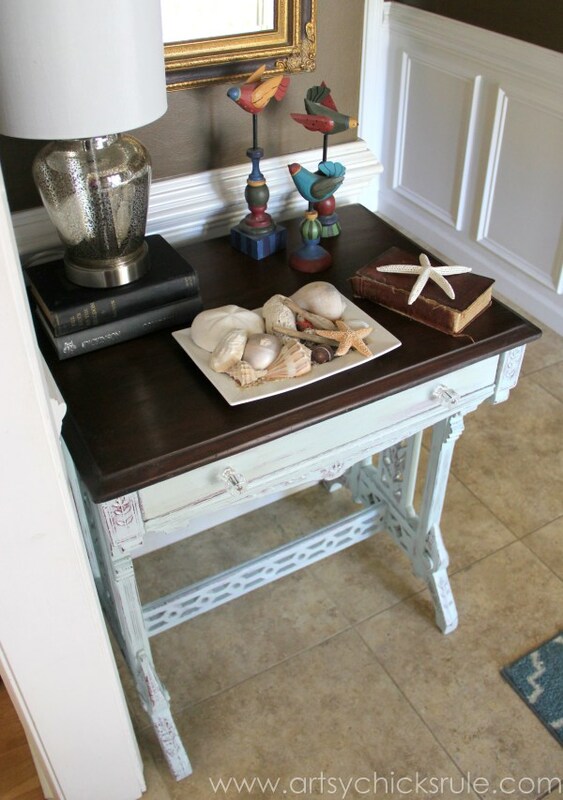 So….I incorporated that exact idea into one piece of furniture and came up with this…. I know there are a lot of “wood lovers” out there. Yes, I do love paint BUT I also love a nice wood finish. However, this table had problems. LOTS of them. 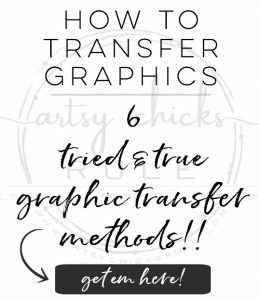 I’m not going to show you all of them in this post, or how I fixed them all, because I’d have to share 40 pictures! I’ll share the makeover details in another post. <<< UPDATE: You can see it now, here! 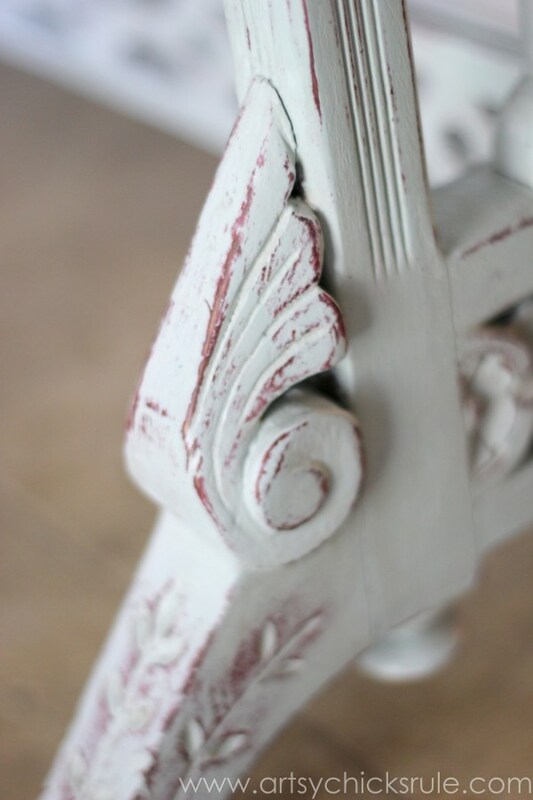 I mean, take a look at all that gorgeous detail that is almost hidden in the old finish. It’s just beautiful and when I found it at the thrift store I couldn’t pass it by. I knew she was coming how with me. Poor little sad, quirky thing. Yes, very quirky….such as, why does it have knob feet….and legs? And did you happen to notice the trim on the legs? I think someone mixed some things up. The two scroll-ier legs (they have an extra flair at the top) are on one side (end to end) and the not as scroll-y legs are on the other! I am guessing the fancy ones were supposed to be on the front…and the less fancy on the back? Anyway, I left it as is…because it has character. Not to mention, it has been this way for many, many years and who am I to change it? But as far as painting it….well, I’ll give you a teaser photo of all the work I had to do…and why it really needed paint. Lots of fixing. Lots of putty and caulk. Extra screws for support. Decorative trim parts missing and molded to make anew. So painting was the best option. Plus it really brings out the detail, in my opinion. I did keep the wood top though. After repair and cleaning her up, I started by painting the base red. 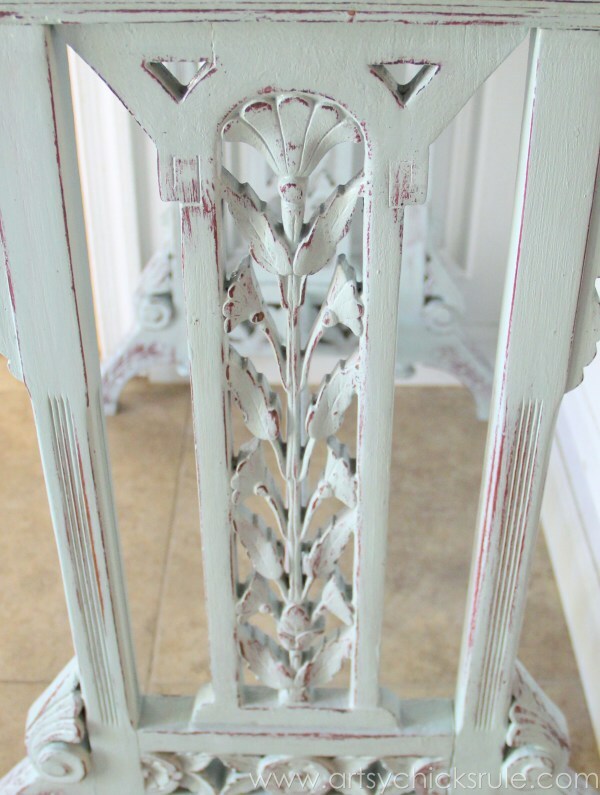 Then painted over that with a mix of Provence and Pure White Chalk Paint mixed. Heavy on the white. I wanted a very pale teal over this so the red would “pop” underneath. Once the red was dry I painted one good coat of the teal shade over top. One coat only because I didn’t want it too thick so I’d be able to distress it easily and see the red. 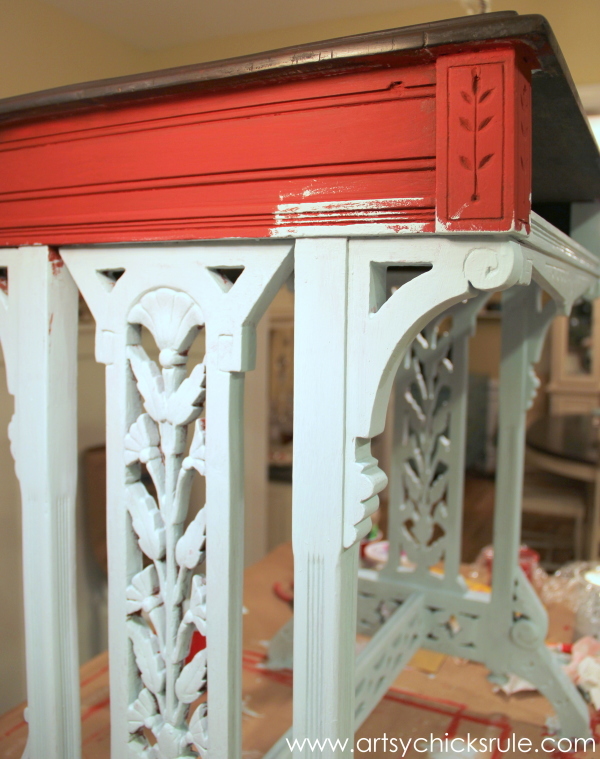 Painting all that detail…..well, lets just say I won’t be in a hurry to do that again anytime soon! UNLESS I use my paint sprayer. AND if it weren’t 30 degrees outside, that’s surely what I would have done. Before the teal coat dried fully (easier), I took fine grit sandpaper and went over every single inch distressing edges…..
…bringing the red out all over. Red, red, red coming through all over. I just love the mix of these two colors together. And how about this fun little surprise…. I love that fun pop of color when you open the drawer. 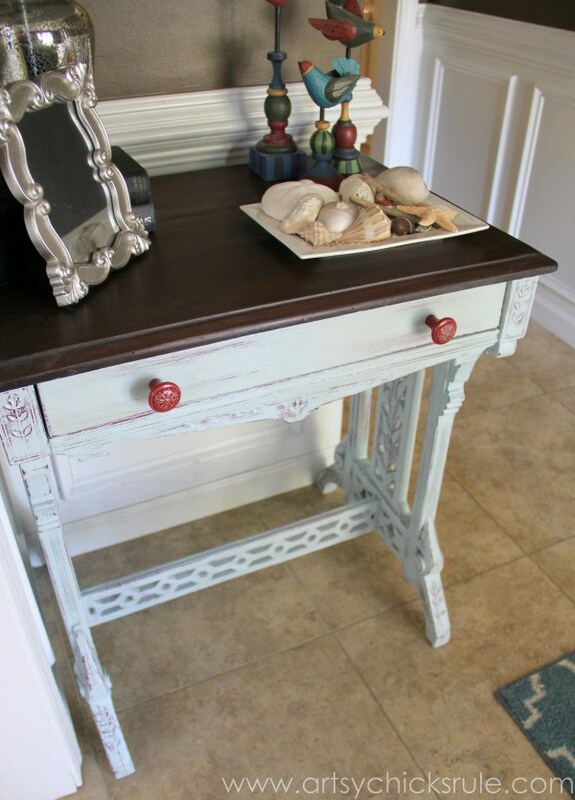 But wanted to show you what it looked like with red knobs too…. I used General Finishes Java Gel Stain on that. Will talk more about that in the other post too. I LOVE this stuff. Night and day…and ridiculously easy. 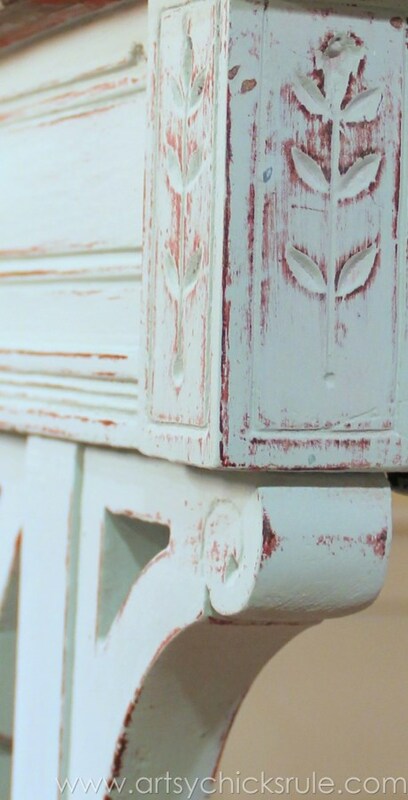 I’ll also talk about what I sealed up the paint with on this carved desk and why. I’m not gonna fib and say this one was an easy transformation. 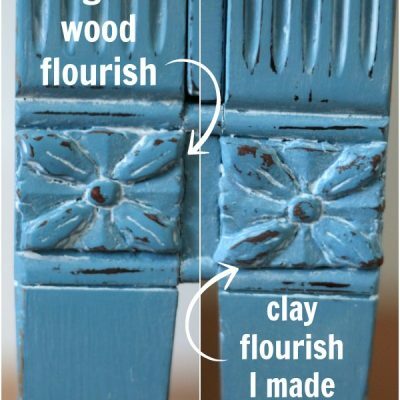 BUT only because it needed a ton of repair work and have you ever painted nooks and crannies like that before? That many? With a paint brush??? Ohmigosh. No. Don’t do it. ;) No, really, I’m serious. 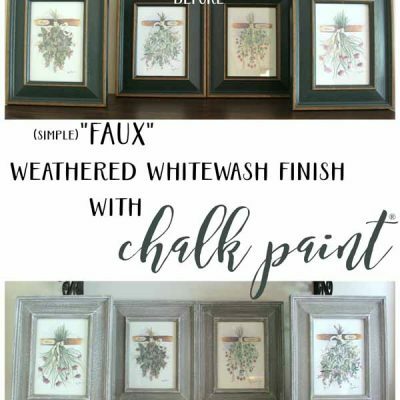 You might never paint again! But I am in love with the result. And I’m glad I came to this sweet, quirky little desk’s rescue. Sitting there all lonely in the thrift store just waiting on me. 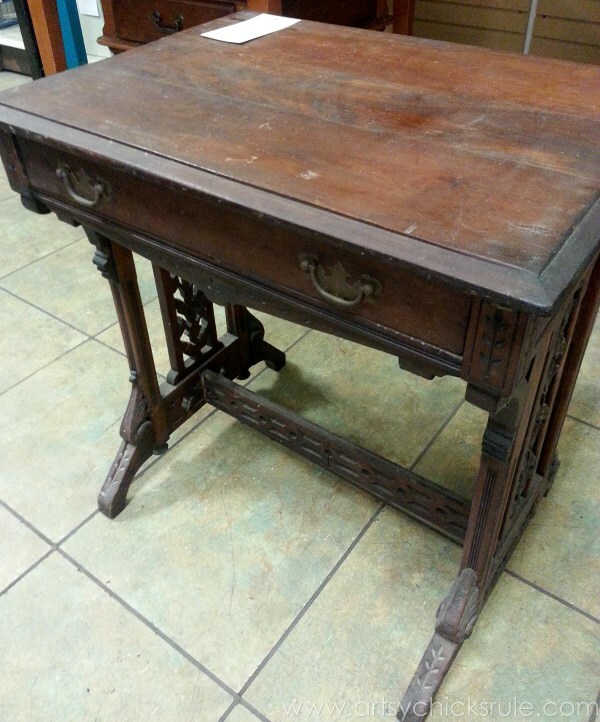 And now, this pretty old, carved desk is ready to be re.loved all over again. 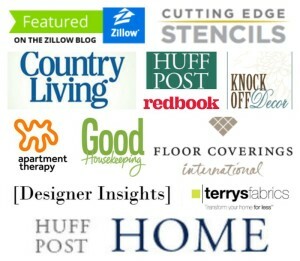 And not to be missed…especially if you love to makeover furniture. 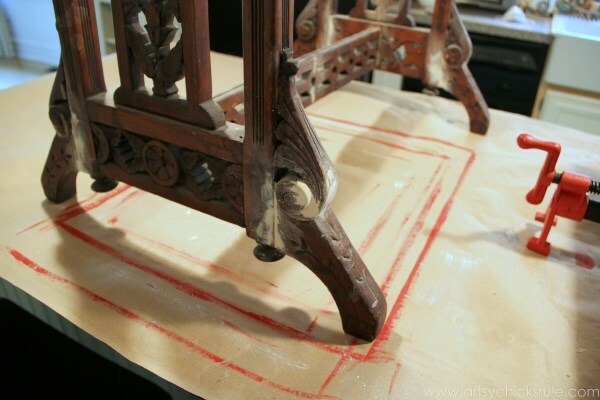 Now it’s time to take a look at all of my friend’s RED furniture makeovers below! Thank you Debbie!! :) I have decided to keep this one! 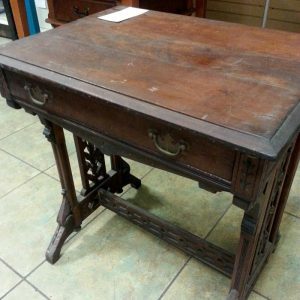 Love that quirky writing desk, I couldn’t have passed it up either. I can only imagine the time it took to brush all those details! I like your mix of emperor’s silk and primer red (must remember that ratio). I love the red peaking through the light teal too. 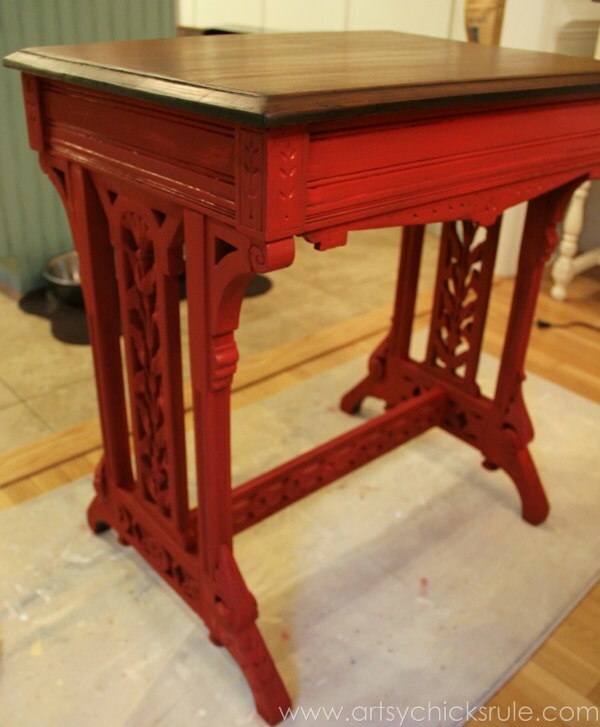 But I’ve got to say, I also loved the desk in red with the dark top (but I’m a sucker for red, being my favorite color). Love the pop of red in the drawer. 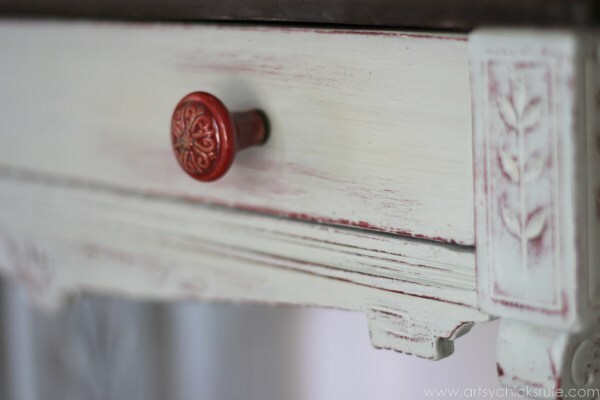 I loved it with the pop of red knobs too. 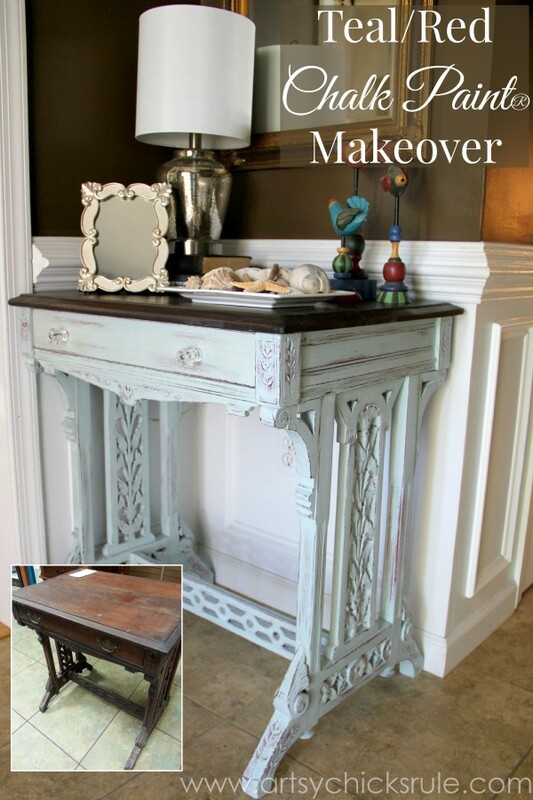 Awesome makeover Nancy! Ooh, I sooo feel your pain about painting all that detail. 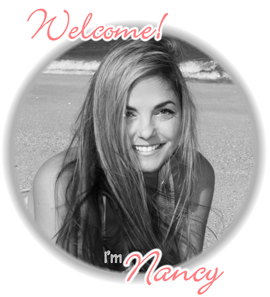 I love the transformation and you rocked the red, Nancy! 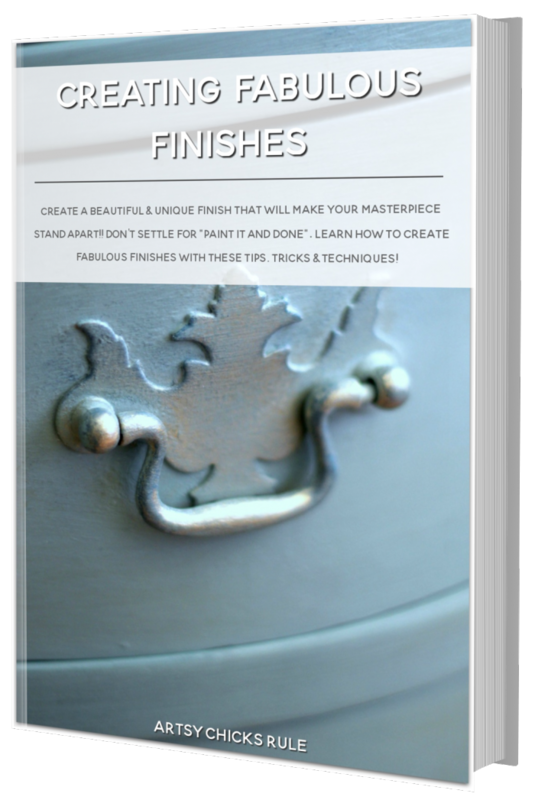 I’m really interested in the General Finishes Jave Gel Stain. 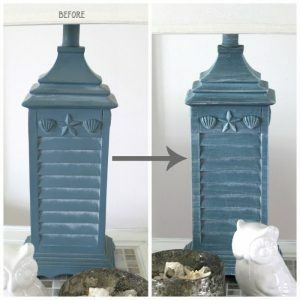 I haven’t done a lot in re-finishing furniture. I don’t know the pros & cons of the different products yet. I’d like to know more on why you liked this product so much & what were the downfalls of this and other products you’ve used. And also, I’d like to know which finish looks & wears better (or are they all similar). 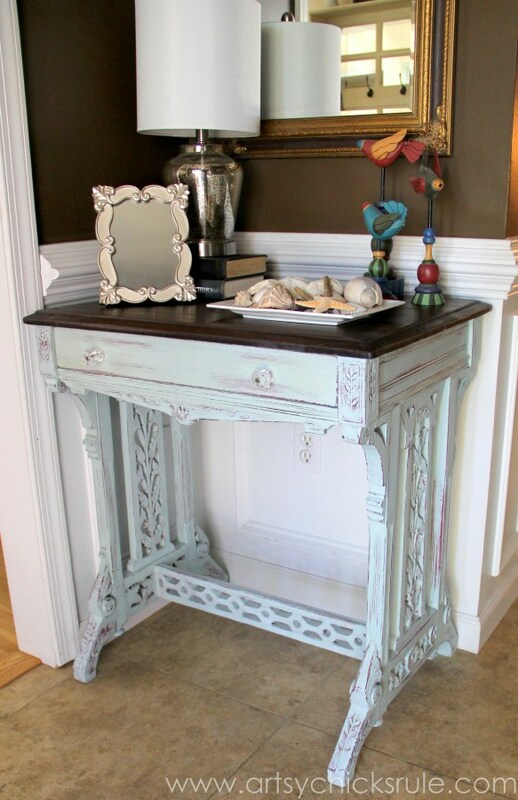 I’m workin on something very similar to this table however mine’s a desk but the coloring is very close. 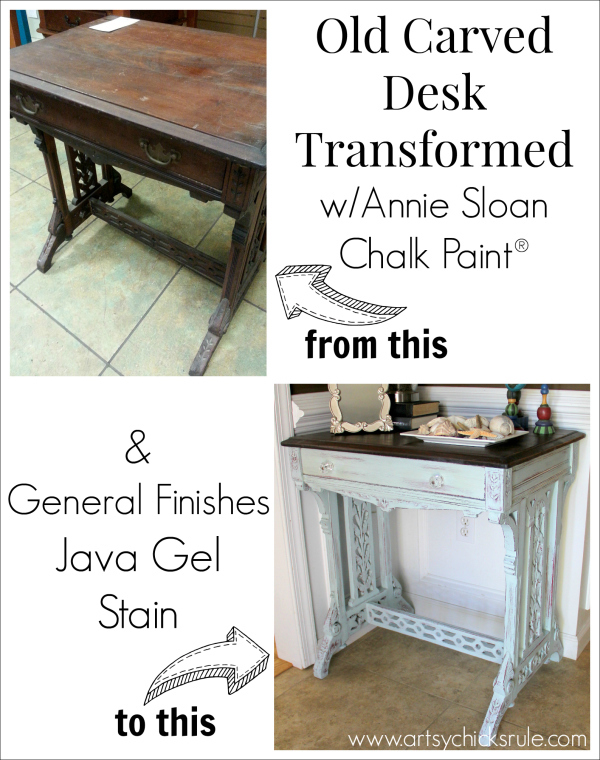 What I like about the Java Gel Stain….it’s soooo easy to apply. AND it looks fabulous! It’s a wipeable stain and I think that helps a lot with application. Great for beginners. The Gel Topcoat that I’ve been using is the same way. 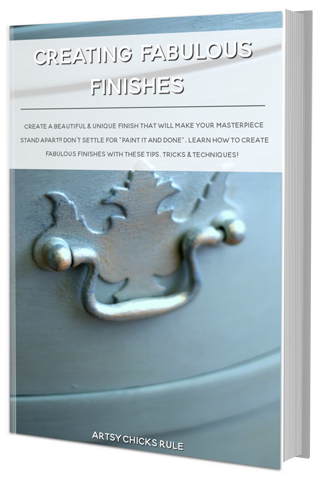 Provides a great finish and it so easy to apply. 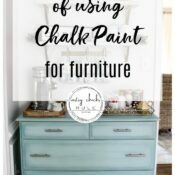 The Milk Paint from them….I love. Also great application. I plan to try a few more of their sealer/topcoats but haven’t had a chance yet. What a beautiful piece. I love all the details even though it must have been a nightmare painting them. The teal and red look great together. Beautiful job as usual! Thanks Angie! :) I just love those two colors together!! Thanks you!! :) I love those two too!!! 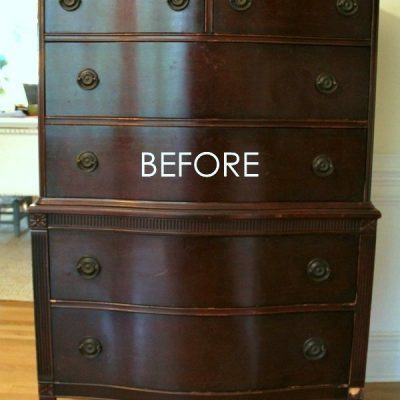 I can imagine that this makeover took a long, long time but was worth every minute. I love how the red pops out from under the teal. I’m looking forward to reading about the repairs you had to do on this piece. oh I just love the pop of Red coming through. Such a beautiful table to begin with and the time and effort you put into just made it all the better! Absolutely stunning! I hope you can find a place for it, and I love the glass knobs too! I know it was a ton of work, but it turned out so pretty! This table is stunning! I wish I lived closer so I could buy it and take it home with me. You really outdid yourself! I had originally intended to paint this piece to sell….but I have fallen in love with it and have decided to keep it! 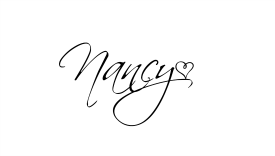 Nancy…Such a huge task on this one and worth every bit of elbow grease! You have an good eye fpr what will transform, I wouldn’t have imagined the outcome would look so beautiful! 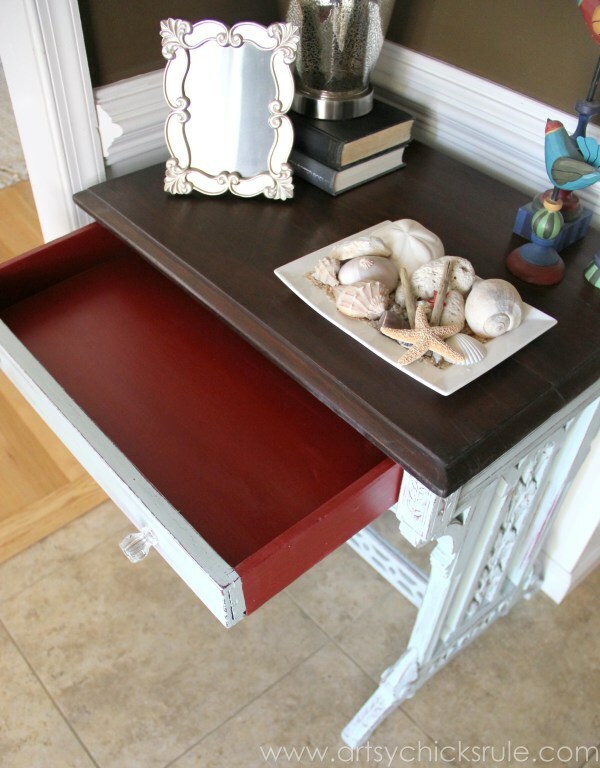 …oh..and love the red drawer :) Great job my friend!! It was!!! lol And I’m so glad it’s behind me. 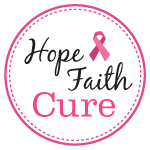 I’ve decided to keep it because…it was SO much work and because I love it! I love the details! Very nice finish, and a good way to sneak in some red! Love the red peeking through- it’s stunning!! Thanks so much!! I am really enjoying it. You see so much more of the detail on the legs now. 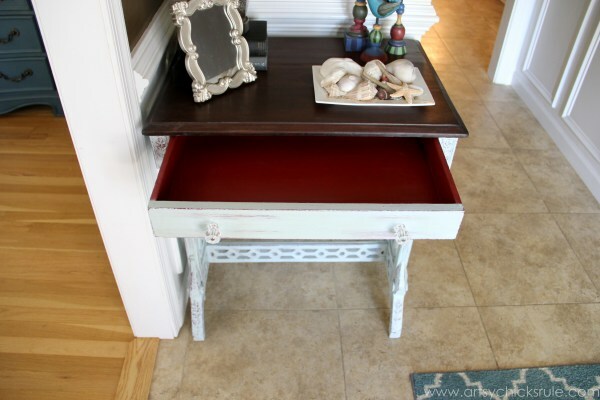 I love how you painted the inside of the draw red and the little red pulls are so sweet. Gorgeous!! Red is my favorite color. Love the color combination. Love it!!! Thanks Crystal! :) I think it’s a fun color combo! I’m not a red person, but the color you chose is something I could live with – lol I think. I was a tad bit disappointed when, as I scrolled down. I saw you covered it with white, but either way job well done and the way you accessorized the top is so charming.